Soul-kinship or spiritual solidarity is an all-embracing and highest form of kinship or solidarity human consciousness is capable of attaining. It is a transcendent form of solidarity in contrast to transient and narrow forms of kinship or “solidarity” based on race, caste, class, clan, gender, species, nationality, ethnicity, or political or religious creed or cause. Actually, these narrow and transient types of “solidarity” based on race, caste, class, etc., are truncated, rabid, and even pathological forms of group division and opposition among human beings. Soul-kinship or spiritual solidarity is not a desiccated philosophical or religious abstraction, but a “living truth” and a “lived experience” which can be attained by rigorous intellectual, moral, and contemplative discipline. This intellectual, moral, and spiritual discipline involves the arduous and progressive attenuation and dissolution of the sense of division and opposition between the self and other beings. It is complemented by the progressive accentuation and development of a sense of empathy, common ground, and unity with other beings. Soul-kinship or spiritual solidarity is achieved by realizing that which already embraces and includes within the ambit of its unlimited and unconditioned being, consciousness, and bliss, all the baffling diversity of entities and individuals in the cosmos, the one supreme reality or Arutperumjothi, which has taken, among other modes of existence, the mode of being the Immense Light of Incomparable Compassion. Hence, any sense of division and opposition between the self and other beings is the main barrier to the realization of the all-embracing reality of Arutperumjothi. Nor any staying of his whirling wheel. The aspirant must therefore guard himself carefully against any tendency to separate himself from his fellows. This he can do only by an effort of imaginative sympathy. He must strive always to feel himself into the hearts of those he meets in his daily life, to see things from their point of view, to feel the impacts of events and particularly the impact of his own actions as they would feel them. In this way he will learn to understand instead of blaming his fellow men, and will learn also that his enemies are not the villains that he previously supposed them to be but merely rather foolish people, prone to deceive themselves about their motives as is he himself. Training himself in this way, the aspirant gradually breaks down the barriers which separate him from his fellow beings and will acquire the power of thinking and acting in an unegotistic manner, for he will no longer concern himself solely with his own point of view. I said earlier that soul-kinship or spiritual solidarity is not an abstraction, but a “living truth” which can be experienced. We all have “peak experiences” of empathy, compassion, love, and bliss, in which the barriers between the self and other beings are temporarily attenuated. However, the goal of intellectual, moral, and spiritual discipline in the path of Suddha Sanmargam is to attain insight, realization, and enduring perception pertaining to the reality of soul-kinship or spiritual solidarity between the self and other beings. Soul-kinship or spiritual solidarity of all beings is a reality which can never be destroyed by any form of division, opposition, and conflict in just the way the reality of biological kinship which constitutes a family can never be destroyed by internal conflicts or even the disintegration of that family. A central goal of Suddha Sanmargam is to realize and express this indestructible reality of soul-kinship or spiritual solidarity in our thoughts, feelings, attitudes, and actions. It is to transform our relations with other beings in light of this realization. In the history of mysticism, we find several accounts of experiences and realizations of this truth of soul-kinship or spiritual solidarity of all beings. 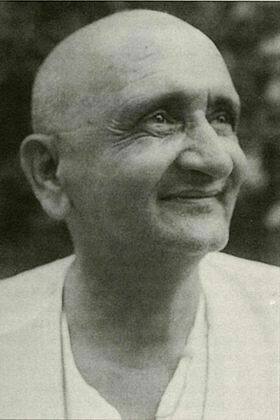 Ramdas (1884 – 1963), a great twentieth century Indian mystic, has given us a remarkable account of his experience and realization of soul-kinship and its transforming power in his autobiographical trilogy, In Quest of God, In the Vision of God (two volumes), and World is God. “In the earlier stages this vision was occasionally lost, pulling him down to the old life of diversity with its turmoil of like and dislike, joy and grief. But he would be drawn in again to the silence and calmness of the spirit. A stage was soon reached when this dwelling in the spirit became a permanent and unvarying experience with no more falling off from it, and then a still more exalted state came on: his hitherto inner vision projected outwards. First, a glimpse of this new vision dazzled him off and on. This was the working of divine love. He would feel as though his very soul had expanded like the blossoming of a flower and, by a flash as it were, enveloped the whole universe, embracing all in a subtle halo of love and light. This experience granted him a bliss infinitely greater than he had in the previous state…Its fullness and magnificence was revealed to him during his stay in the Kadri cave, and here the experience became more sustained and continuous. The vision of God shone in his eyes and he could see none but Him in all objects. Now wave after wave of joy rose in him. He realized that he had attained to a consciousness full of splendor, power, and bliss...He gave a touch of the inexpressible bliss he was enjoying to all who came in contact with him. As Ramdas observed on several later occasions, even thousands of births or lifetimes spent to achieve this spiritual realization are mere straws compared to its value. 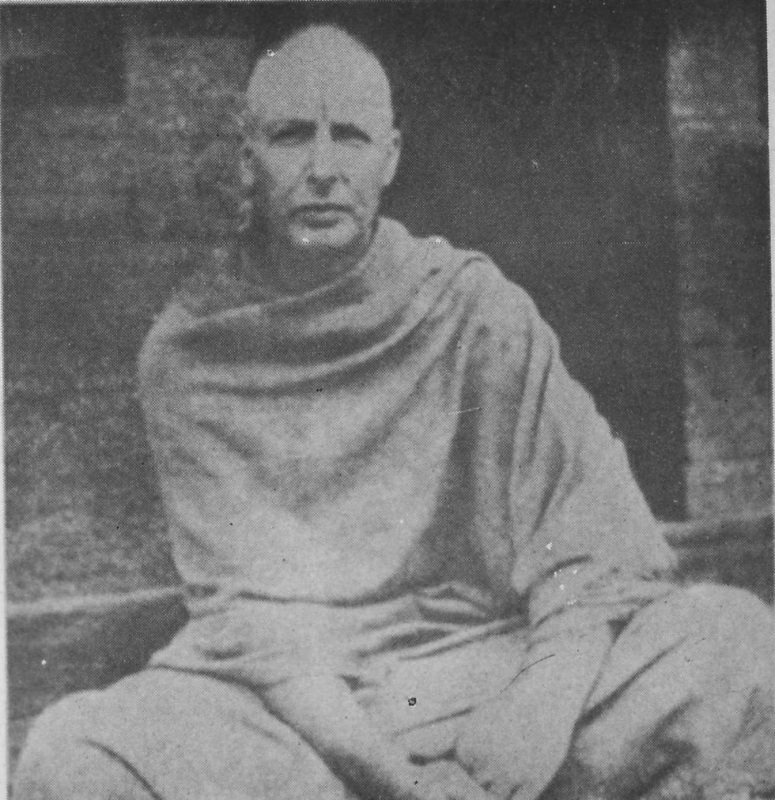 Note that in his account, the realization of soul-kinship with all beings is achieved in terms of an experience in which “his very soul had expanded like the blossoming of a flower and, by a flash as it were, enveloped the whole universe, embracing all in a subtle halo of light and love“. In other words, his realization of the “living truth” of soul-kinship is constituted by an experience of all-embracing love. Hence, vast crowds are drawn to him by the radiating power of this all-embracing love. Ramdas is not repelled by these vast crowds of Indian villagers. He does not see an “ignorant and sinful throng of unwashed humanity” or anything like that. Rather, “Divine love thrilled his entire being at the sight of big multitudes.” This speaks volumes on his attainment. Note also that in his account, the realization of soul-kinship and its constitutive experience of all-embracing love is inextricably woven into the larger fabric of the experience and realization of the all-pervasive divine reality, light, and love, the “vision of God” which disclosed “none but Him in all objects” as a result of “the working of divine love”. I will continue with other accounts of experiences and realizations of soul-kinship or spiritual solidarity in the next post.